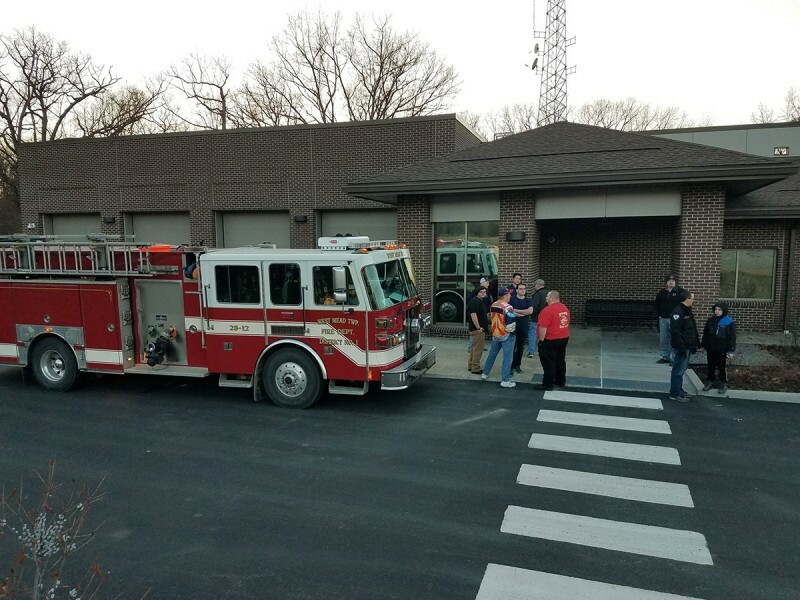 On March 12 West Mead 1 and East Mead firefighters attended a radio communications class presented by Kevin Nicholson, Director of Crawford County Department of Public Safety. 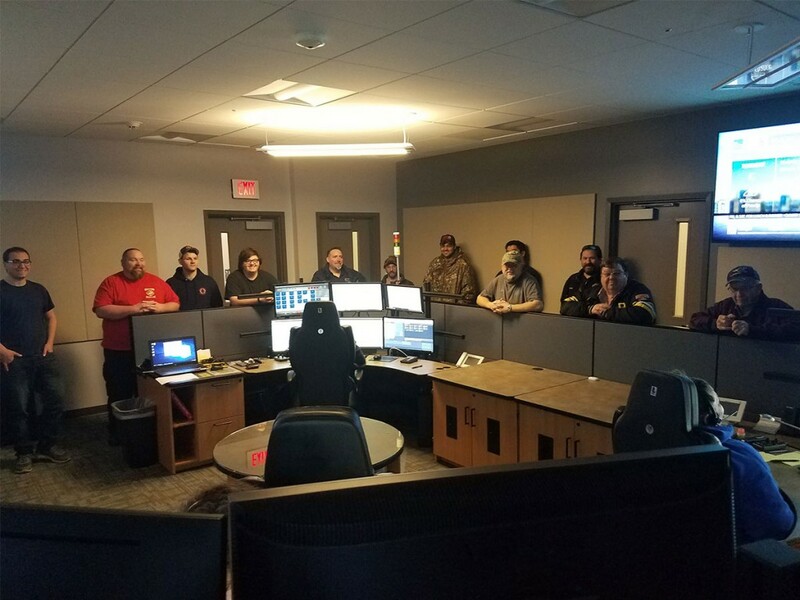 The class covered a broad range of topics on the services provided by the 911 dispatching center on Pine Street and protocols to be used by fire and EMS crews in the field. Understanding and using radio technology correctly is crucial to a positive outcome at an incident. Providing a good scene size-up and establishing command on a tactical frequency alerts incoming units to the nature of the incident and moves operational communications from the dispatch channel. Using a talk-around mode instead of the repeaters saves dispatchers the distraction of traffic control or similar on-scene chatter. 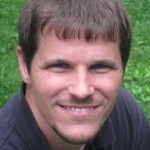 However, returning to the dispatch channel at the end of an incident is also important. The dispatch center is sometimes maxed out with multiple calls, such as during wind storms or multiple brush fires. 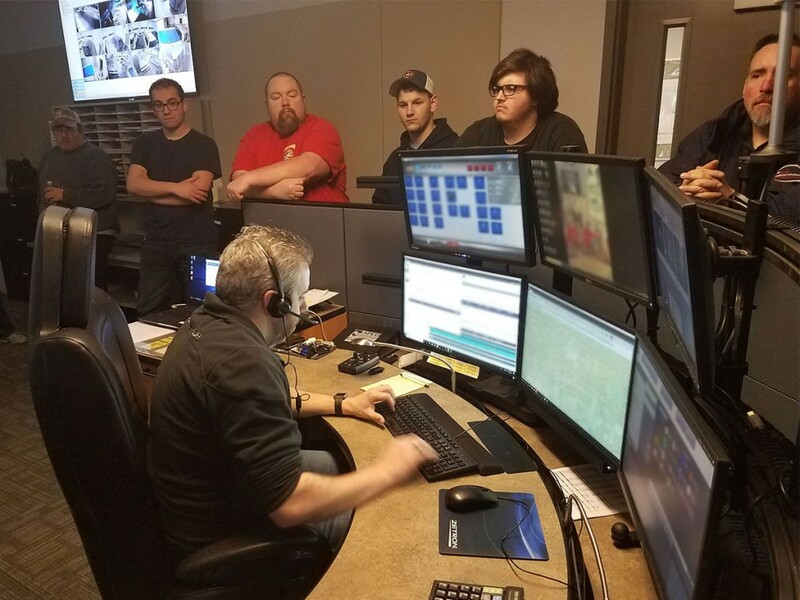 The dispatchers will broadcast that 911 is at Level 2 or 1, and radio communications should be limited to acknowledgements and life-threatening emergencies. Fire and EMS crews must operate semi-independently of dispatch, tracking response times and calling utility companies from the field or their station. When dispatch announces operations are at Level 3, radio communications return to normal. 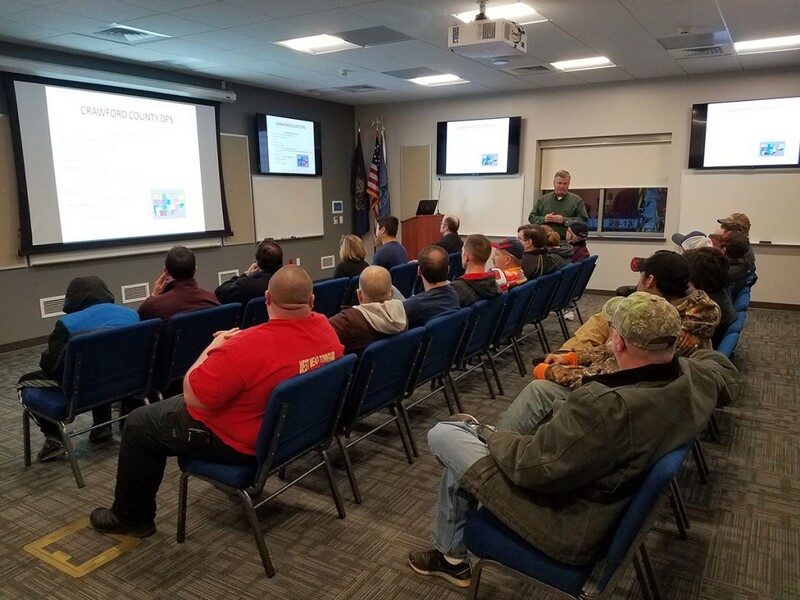 The class also covered grid assignments, dispatch sequences, and on-scene protocols for incident command, air medical, towing services, PAR (personnel accountability report), evacuation, and mayday. 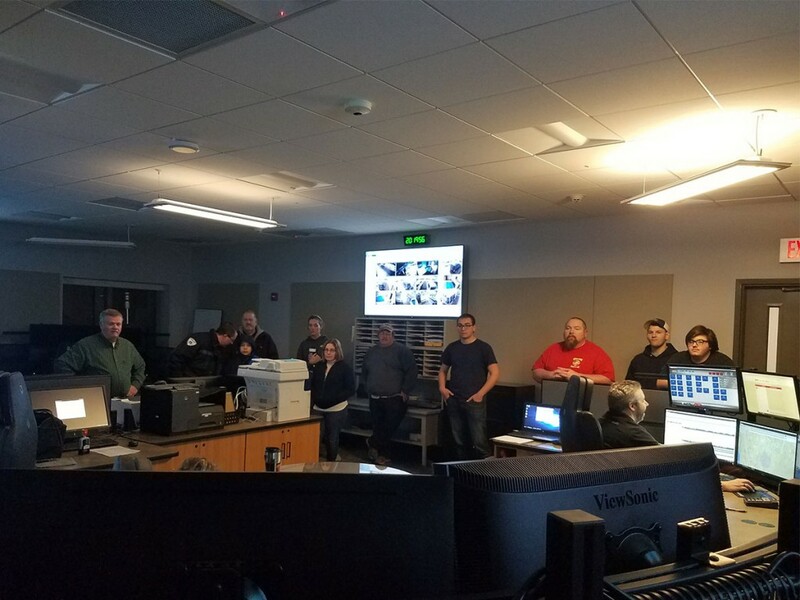 At the end of the class, Kevin provided a tour of the 911 center, and firefighters observed the dispatchers taking an emergency call and dispatching fire and police to the incident. Dispatchers provide a crucial link between the people in emergencies and the responding agencies. Understanding their role helps first-responders be more effective in dealing with those emergencies.